Ivory (IV)/Vintage (VE), Ivory (IV)/Gold (GD), Ivory (IV)/Ivory (IV), White (WH)/White (WH) *Please refer to Special Color Set swatch card. 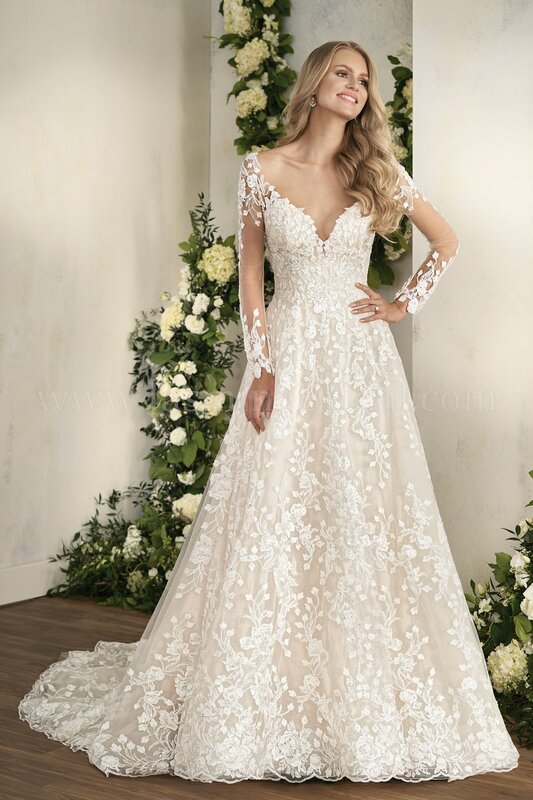 Pretty and sophisticated bridal ball gown with long sleeves. 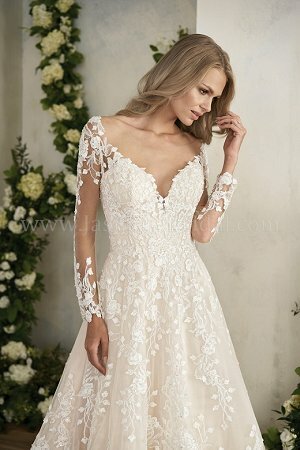 Embroidered lace and beading throughout thedress with an illusion neckline and keyhole back. 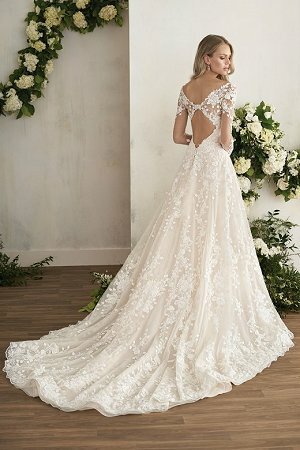 This beautiful wedding dress is completed with a semi-cathedral train.